We like to keep this grilled pizza recipe in our back pocket, it's perfect for this time of year when we’re in-between seasons. It’s super easy to make on the grill if you’re still bbq-ing in your neck of the woods or you can pop this pizza in the oven. The combo of the ripe figs we have available right now with the sweet balsamic onions and the salty cheese is just fantastic! Going the grilling route makes this recipe perfect for cooking for a crowd. 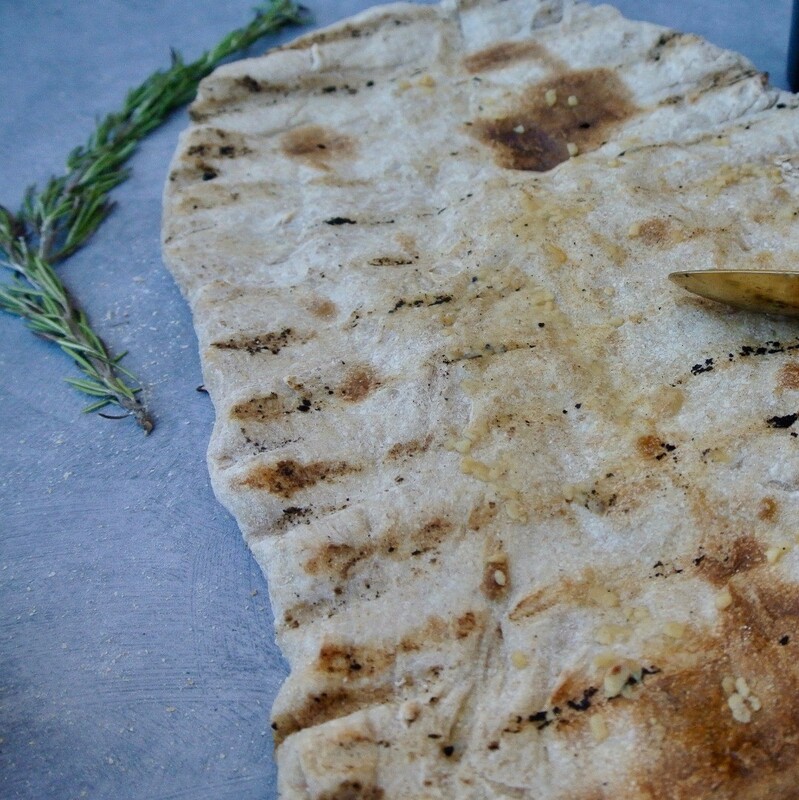 You can grill the dough before guests arrive and leave out uncovered. When you’re ready to eat simply assemble and throw on the grill for a few minutes and you’re good to go! Once you master the dough part (we definitely recommend buying a little extra dough the first time you attempt to cook this recipe via bbq) you can even set up a build your own pizza bar for your guests. A pizza bar is a great way to entertain that keeps the host from being stuck in the kitchen. Simply set up a station near the grill with pre-grilled dough in small sizes, and some sauces and toppings. We also like to include a few written recipes for our less culinary inclined guests. 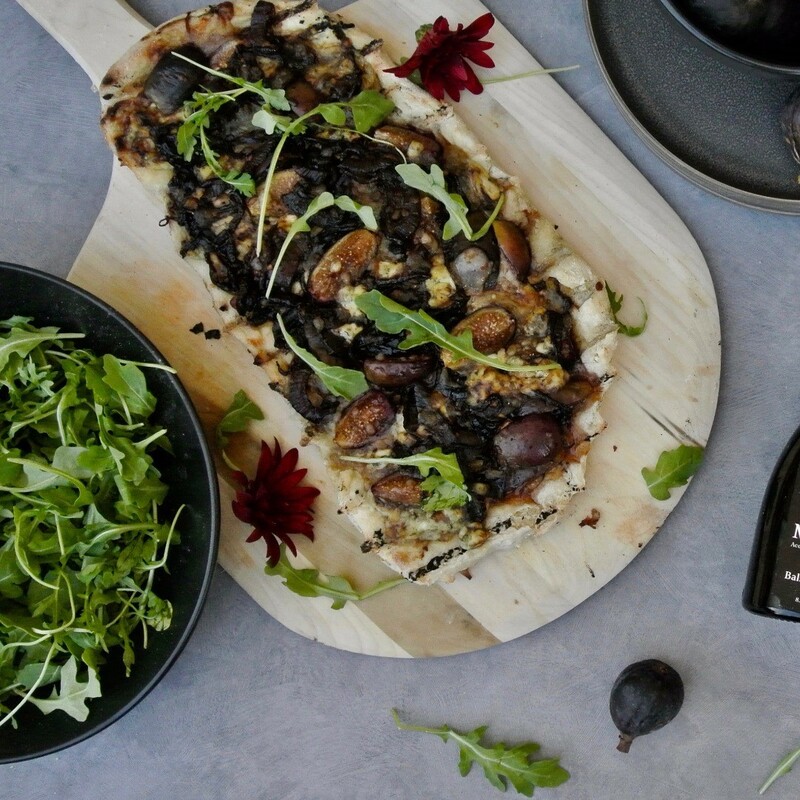 This fig and balsamic onion pizza is always a surprise for our guests as some can be a bit skeptical about fruit on their pizza. 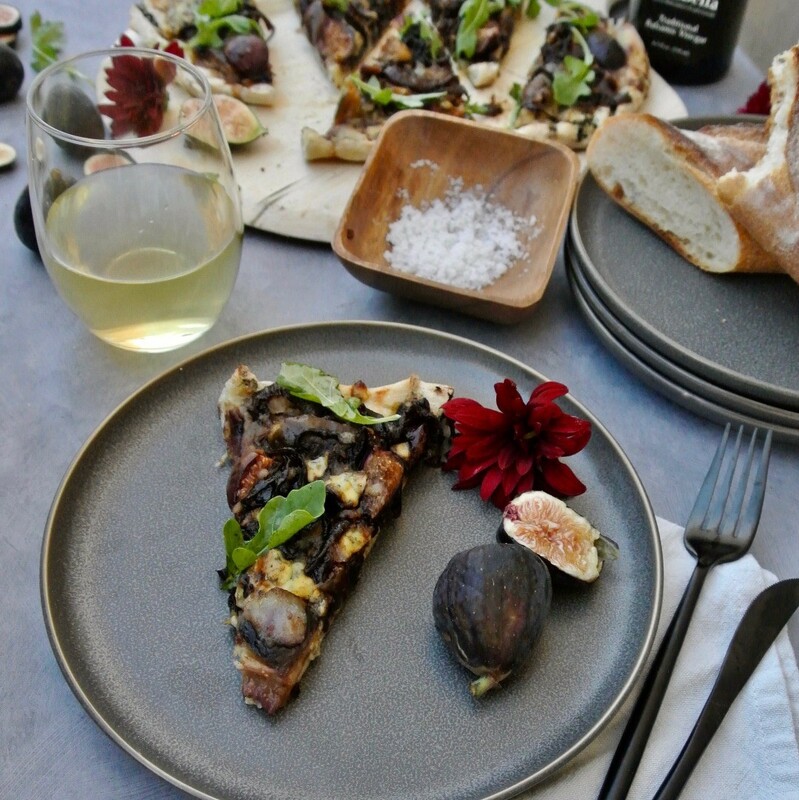 But by keeping the pre-grilled crusts on the smaller side guests can dare to be more adventurous with their creations and give this delicious pizza a try. 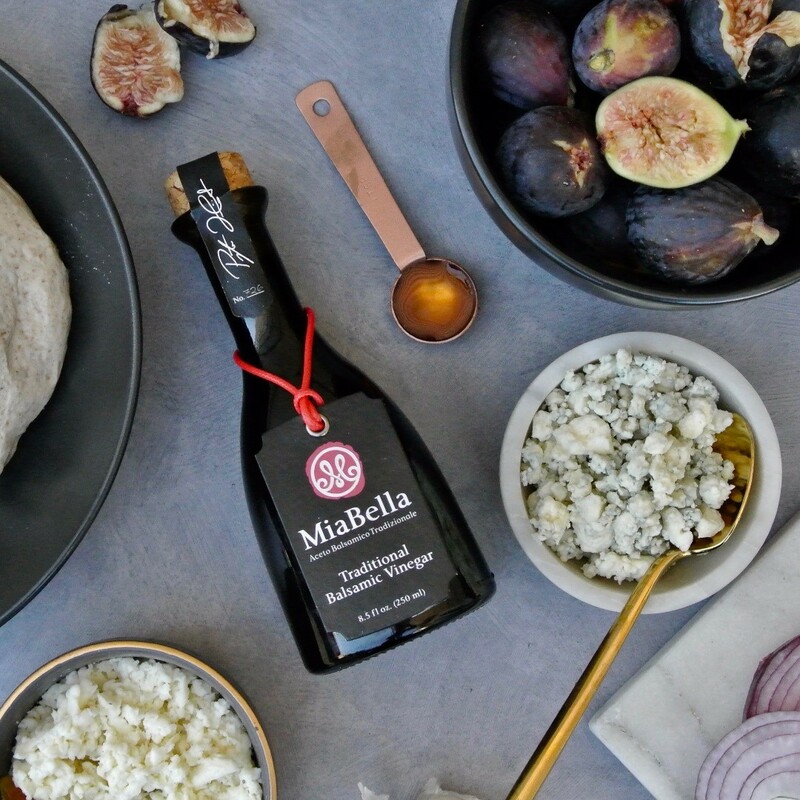 For another surprising fruit forward delight, we also like to turn our balsamic peach canapés into a pizza by blending mozzarella with the brie and drizzling our MiaBella Balsamic Vinegar on top after it comes off the grill. We also like to do a Caprese pizza with fresh mozzarella, tomato, basil, and a drizzle of our MiaBella Traditional Balsamic Vinegar! 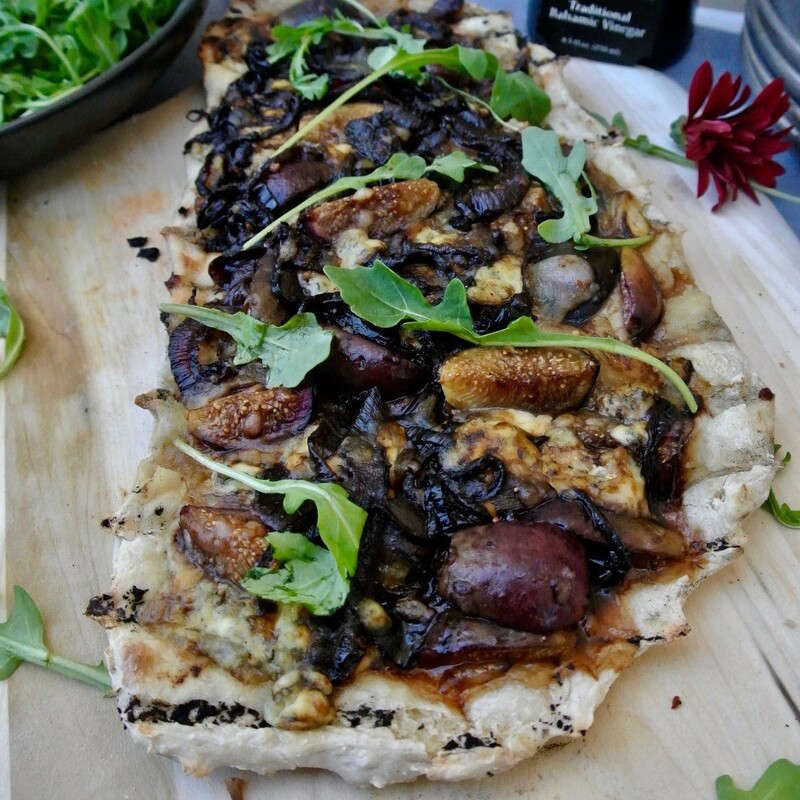 Basically, we really like grilling pizzas especially when balsamic vinegar is involved. Leave the dough out on a floured surface for a minimum of 20 minutes. 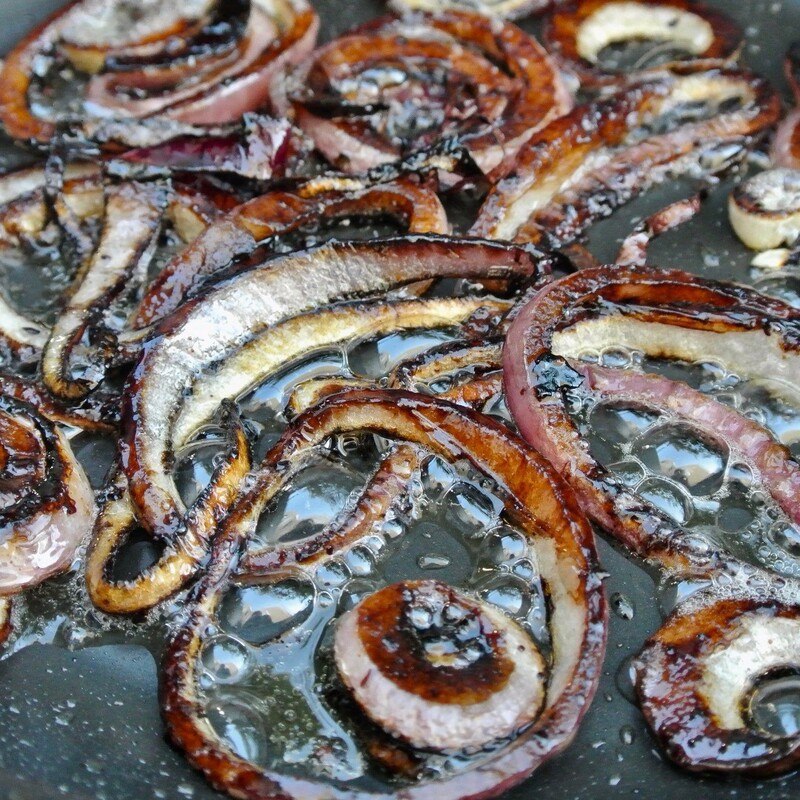 In a skillet, sauté onion in oil over medium high heat for about 3 minutes, stirring frequently. Lower heat to medium, add a pinch salt. Continue sautéing for about 10 minutes or until onions begin to soften and caramelize. Add MiaBella balsamic, sugar and pepper. Continue to cook about 3-4 more minutes. Set aside. Place directly onto the hot grate, and grill 2 to 3 minutes, flip and grill the other side. A good rule of thumb is once the dough is ready to flip it will be easy to remove from the grill. If you are baking your pizza top the raw dough with garlic, cheeses, onion and figs, then place in oven on pizza stone or baking sheet. Bake until the pizzas are cooked through, about 9-11 minutes depending on how thick the crust is. Once grilled rub each crust with smashed garlic, divide and sprinkle the cheeses, top with figs and onions and return to the grill. Leave on grill with lid closed until cheese is melted through, takes only a few minutes. Top with arugula for serving!